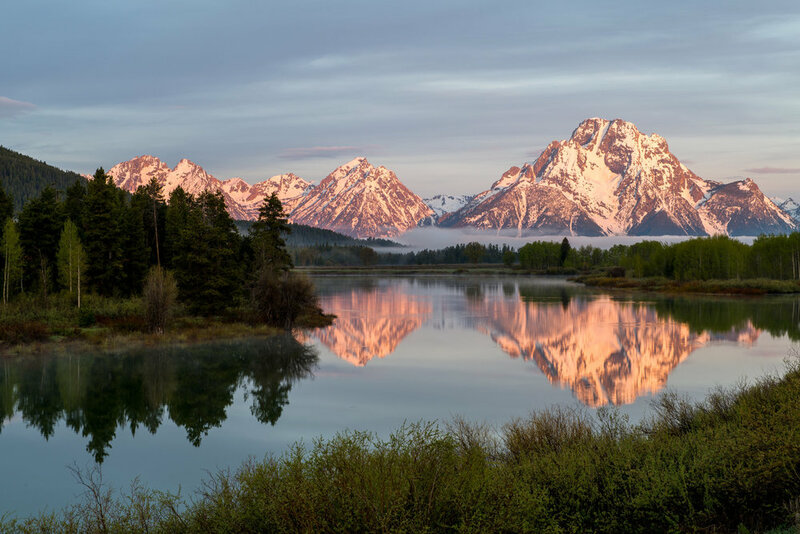 Tuesday, Wednesday, and Thursday will be filled, sunrise to sunset, with photographic opportunities as we explore the Tetons visiting many of the famous locations. Each day there will be an opportunity to look at what you have captured and receive post processing instruction. Finally, after photographing sunrise Schwabachers Landing on May 24th we will meet for a recap and a final breakfast as everyone leaves on their own. Lodging: This is based on double occupancy. If you wish to have a private room it can be arranged for an additional fee. Transportation: Transportation to and from the airport or during the workshop is not provided. The best locations to fly into is the Jackson Hole Airport (JAC) in Jackson Hole, Wyoming. From there you can rent a car for the duration of your trip. Some may also consider flying into Salt Lake City Airport (SLC) in Salt Lake City, Utah and making the 5 hour drive to Jackson Hole.